It is never too early or too late to begin thinking about retirement. Whether you are just starting out and hoping to build a decent nest egg, or have gotten a late start and are trying to catch up, putting money into a savings plan regularly is a smart investment. As part of estate planning, you want to make sure you have enough put away to ensure your future needs are provided for, but how do you know if the portion you are putting aside is enough? The following offers some practical advice for estimating the average amount of money you will need to maintain your lifestyle and meet medical costs during your later years, as well as tips to help you increase your overall savings. 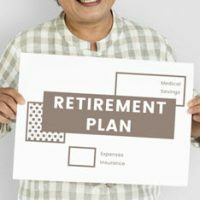 Even if you are contributing regularly to a retirement account at work, it is important to look at the amount you are putting aside to ensure it will be enough. The United States Department of Labor (DOL) states that while Americans spend roughly 20 years in retirement, less than half have spent any time calculating what their costs will actually be. Make sure you are contributing the maximum amount allowed to your employer’s retirement plan. In addition to compound interest and tax savings, you can also benefit from employer match funds. Find out about any pension benefits you have from current or past employers, as well as any benefits available through your spouse’s pension plan. Consider putting money into a traditional Individual Retirement Account (IRA) or a Roth IRA, which also offers higher interest rates and tax benefits. You can also sign up for a new type of Roth IRA called MyRA through the US Treasury Department at myra.gov. Pay attention to interest rates, and diversify your savings by placing some of your money into investments, which can yield a higher rate of return. When calculating what you will need for retirement, do not forget to include any Social Security benefits you may be entitled to receive, which may total as much as 40 percent of your income. You can use the SSA Retirement Estimator to get a general idea of this amount. For help on ensuring your future needs are provided for, contact the offices of Cavallo & Cavallo today. As your neighborhood law firm, our estate planning attorneys are here to help, providing the legal guidance you need to ensure both your current and future interests are protected.